Барааны дугаар Байхгүй. Categories: Business / ESP / English for Academic Purposes, OXFORD. 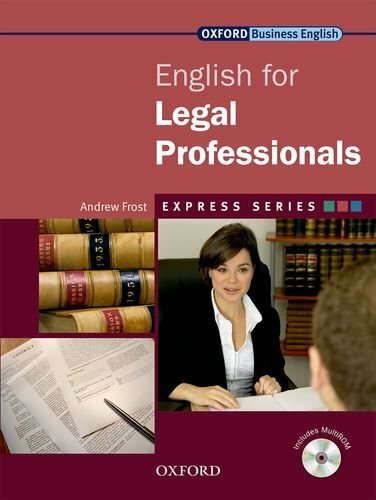 English for Legal Professionals helps students to speak about the law in a business environment. The course provides students with the language they need to be able to communicate with confidence. English for Legal Professionals addresses the basic areas of Commercial Law, including company law, employment law, contract law, copyright law, and bankruptcy law. Every unit places the legal professional in different scenarios, and teaches them how to advise clients on suitable courses of legal action. Authentic documents provide professional vocabulary, and the ‘Vocabulary Assistant’ offers definitions of legal words and phrases.